Home » Uncategorized » Did you know Canyonlands National Park was designated as a Gold-Tier International Dark Sky Park? A sky full of stars along the Colorado River. Photo Courtesy of Steve Biel. You might be wondering what is a Gold-Tier International Dark Sky Park. It is a land possessing an exceptional or distinguished quality of starry nights and nocturnal environment that is specifically protected for it’s scientific, natural, educational, cultural, heritage and or public enjoyment. 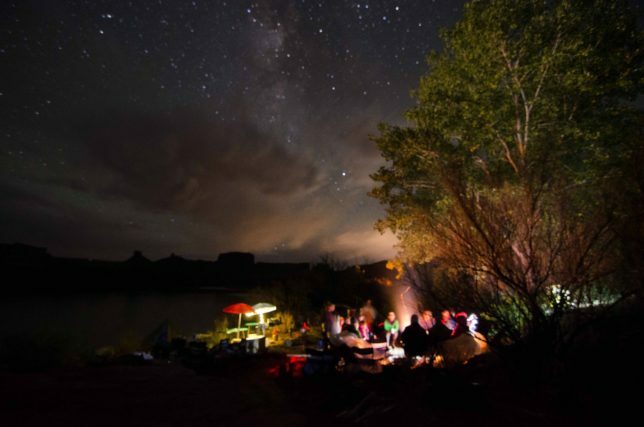 “The Milky Way stretching across the Park’s incredibly dark night sky is a sight many visitors will never forget,” said Canyonlands Superintendent Kate Cannon. Canyonlands is an amazing place to see and explore during the day but it is also an amazing place to be at night. 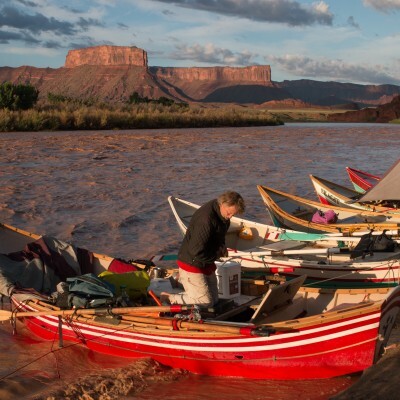 Traveling by boat into the heart of Canyonlands gives you an incredible opportunity to view the night sky without any artificial light. Imagine sleeping under that amazing blanket of stars after a wonderful day of hiking and rafting. The red rocks around you, the stars above you and the river beside you. Posted December 8, 2017 by Crate Inc.